On Monday, I met with a geochemist at UNC to find out how to turn my ancient Roman teeth into information about whence people migrated to Rome. Because there is no geological map of Italy that details the levels of strontium in the bedrock, my research plan included testing first molars (the enamel of which forms by the age of about 4 and doesn't change through life) and midshaft femur samples (as the cortical bone renews itself constantly, giving a picture of the last 5-10 years of a person's life). Testing samples from an individual at a young age and right before death would therefore tell me if s/he moved during his or her lifetime, if the two signatures were different. I took hundreds of teeth from my two sites, and I spent a few days sawing femora in half to get samples of cortical bone from the middle. Turns out, much of my sawing effort was likely pointless - at least in terms of this dissertation research. The geochemist informed me that bones - particularly those that have been in the ground for thousands of years - are heavily affected by diagenesis, meaning the sample is compromised by the elements around it. In this case, my Roman bones should all give me the same strontium signature - that of the soil they've been buried in for two millennia. It would therefore be unlikely to find someone who had immigrated in the last few years of his life because all the bones will show up as "Roman." As I mulled over the implications for my research, the geochemist told me not to worry - I could use enamel and dentine from teeth instead of enamel and cortical bone. Dentine, unlike enamel, constantly changes throughout life and could give me a strontium signature for the last few years of an individual's life. Great, I figured. 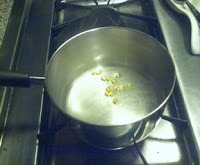 Now all I have to do is grind some dentine and some enamel from each tooth, and I'm set for strontium. However, the second thing that I learned in this meeting was that a dentist at UNC has been doing research into the consistency of tooth enamel. 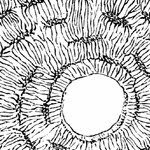 He found that, at the elemental level, it seems that the constituent parts of enamel dissolve and reform throughout an individual's life. So although all textbooks say that enamel forms once and never changes, his latest research says that's not necessarily true - some amount of enamel does change, particularly the occlusal surface, which is exposed to the outside world and comes into contact with all sorts of things in both masticatory and extramasticatory functions. Uh oh, I said. Fortunately, this dentist thinks that the enamel that's not exposed - namely, the part at the junction between the enamel and the dentine - does not change significantly through a person's life. So it is possible to drill out this specific layer of enamel and compare it to the dentine to analyze the strontium signatures from two different eras in a person's life. Phew. This does mean that I might not be able to test children whose first molars were still forming. 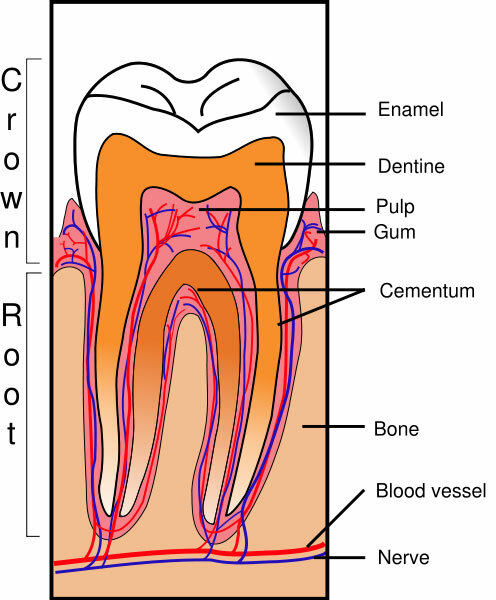 Teeth form from the cusps down rather than the roots up, so I have several molar crowns from children and even some individual cusps from babies. I don't think these will be useful now, although I'll ask the dentist on Monday. We're meeting up so that he can teach me how to drill the special enamel from a tooth. I'm not sure how many articles have been published that use this new method of enamel extraction - perhaps none. It's exciting to be using cutting-edge (pun intended) research in this project, but it means it'll likely take a bit longer than I thought to run all these samples. 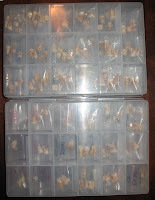 Since I needed the teeth organized - they were all in bags in a giant tupperware that I didn't really look at since I left Rome - I enlisted Trey's help to rebag the teeth and organize them. Tiny bags can be found on short notice at any craft store ($1.50 for 100), and bead boxes are perfect for organizing the bags of teeth into numerical order. As I was buying the bead bags and containers at Jo-Ann Fabrics the other day, the cashier looked at me and said, "Oh, planning to start a big beading project?" I smiled and said, "Oh, yes." It reminded me of a day last summer at the lab in Rome, when I had laid out all the loose teeth from one individual in order. Orso came in, smiled, and said, "Fai un bracciale?" Yes, I can now make an entire bracelet of teeth.